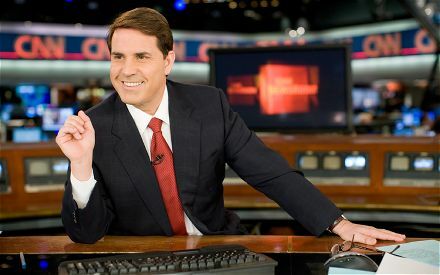 Anchor for CNN Rick Sanchez was fired just one day after he leveled a very serious and ungrounded insult against Emmy Award winner Jon Stewart calling him a “bigot” on Sirius radio. Sanchez also said that “CNN is run by Jews,” and one can only imagine that such ignorant and racist remarks were not appreciated by his former employers! Stewart, who happens to be Jewish, was accused by Cuban-American Stewart of having grown up in the suburbs and being from a middle-class background and thus, according to ignoramus Sanchez, Stewart is bigoted against anyone who is not like him. Imagine that, Sanchez, with one racist comment has determined that people who happen to be from a decent background are discounted from understanding other cultures and having any empathy for those from lower income brackets. What an absolutely disgusting comment to make – how hateful to imply that Stewart and Jewish people in general are by dint of their parent’s hard work and success in America somehow bigoted and consider themselves to be ‘above’ other Americans. Not to make generalizations or imply stereotypical meanings but interestingly, suburbs in which Jews make up a substantial portion of the population tend to vote Democrat while the Hialeah suburb of Miami where Sanchez grew up is staunchly Republican, hmmm. Who can’t understand other people?? Anyway, I am so glad that Sanchez is gone from CNN. I always found him to be an arrogant commentator who did not uphold the generally high standards of CNN. I felt that he got his job primarily due to affirmative action, not on his own merit, and now that he has shown his true racist anti-semitic colors he is thankfully gone. But here is something you should know about the jerk. On December 10, 1990, Sanchez struck a pedestrian, Jeffrey Smuzinick, with his car on a residential street and left the scene, returning two hours later. Smuzinick was paralyzed and eventually died in an assisted living facility on November 2, 1995. Sanchez had just left the NFL football game between the Dolphins and the Eagles with his father when the accident occurred. Police breathalyzer test results determined that Sanchez’s blood alcohol level was above the legal limit for driving. He was not charged with causing the accident, but was charged with and pleaded no contest to DUI. So let’s clarify – a drunken Sanchez hit a pedestrian and fled the scene – and this pedestrian later died as a result of what Sanchez did. Maybe Rick Sanchez should shut his mouth and keep his anti-semitic racist comments to himself?